When someone does something sweet for you, it’s always nice to return the favor. 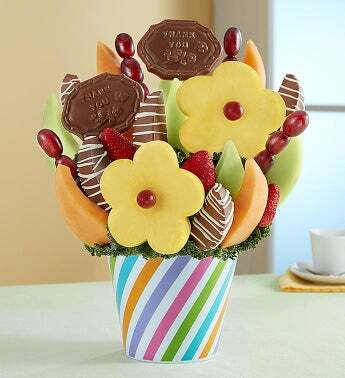 Send a big, sweet “thanks!” with our mouthwatering fruit creation in a colorful swirl container. 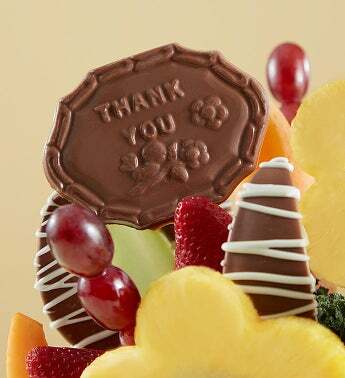 Loaded with crisp dipped apples, juicy strawberries and pineapples, it features delicious chocolaty “Thank You” pops. It’s a fun way to really let someone know how much you appreciate them.